I've been getting quite a bit of emails from readers interested in learning more about law school and my legal journey. I will be answering all of your burning questions Thursday July 18 at 11am PST on my inaugural Google + Hangout On Air. Join me and get the insider's scoop on how to get into and survive law school. "See" you there. 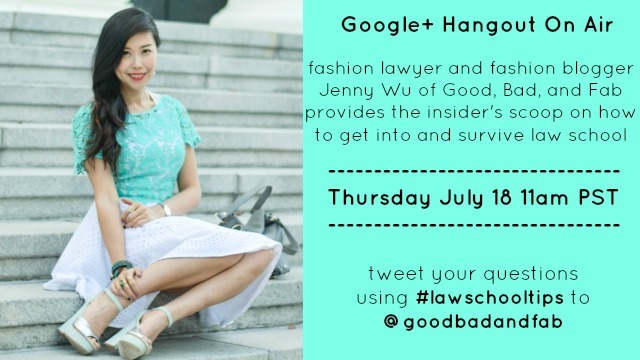 Tweet your questions using #lawschooltips to @goodbadandfab!